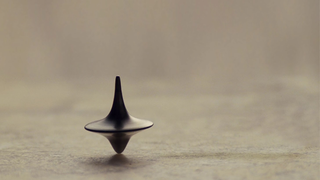 Christopher Nolan's Inception is a delightfully surreal look at merging the worlds of dream and reality - but this video essay from Brows Held High takes a deep dive into Nolan's surrealist influences as well as Inception's flirtation with the greatest filmmaking illusion of all: the Narrative. The video takes a look at Surrealism's influence on cinema over the years through the lens of Inception - itself filled with Nolan's own homages to filmic surrealism - but it's most interesting argument comes in its underlying theme that films themselves are the greatest example of illusory surrealism. The very idea of a movie - that we suspend our disbelief to the point that sets become locations, actors become characters and the stories themselves become 'our' world - is in itself all about an illusion, a pretense the audience and the filmmaker creates in order to tell a story that we immerse ourselves in. That's almost as brain-twisting a concept as Inception's ending itself. The full video's a great watch.